Not even a leaky roof in the House of Commons could stop Loan Charge 2019 coming into effect today, Friday April 5th 2019. Whether the roof caving in was divine intervention for HM Treasury -- to stop them having to respond to the torrent of criticism MPs raised in the session beforehand, or just a sign of how destructive the loan charge has become, the tax is effective from today, giving HMRC the power to go back 20 years to retrospectively charge contractors for unpaid tax and NICs. 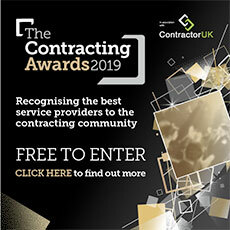 But, writes Julia Kermode, chief executive of the Freelancer & Contractor Services Association (FCSA), what about the next batch of contractors to be caught up in schemes? Were the heart-felt accounts about their constituents by MPs yesterday before the nearly waterlogged session was called off just the tip of the iceberg, in terms of flexible, entrepreneurial workers facing financial ruin? To head off a ‘yes’ answer to this question, and to help protect further contractors from facing the same fate as loan charge contractors today -- up to six-figure sums being sought by HMRC, we must explore how to not be hoodwinked into the new crop of disguised remuneration schemes. At the time of writing, there are a number of schemes that aggressively target professional contractors by touting ‘higher take-home pay.’ These schemes typically operate by paying a small portion of contractors' earnings via PAYE and then disguising the remaining, larger part of their income as something else, often an offshore loan. Most of these schemes are questionable at best, or downright unlawful at worst. Any scheme that sounds ‘too good to be true’ almost always is. Although the companies behind these schemes are suggesting they can reduce contractors' tax and NICs, in reality anyone joining these schemes will be personally liable to pay both these levies to HMRC, themselves, personally. The unpaid tax and NICs soon adds up, and by using such a scheme, individuals are putting themselves at very significant personal financial risk. Indeed, the Revenue will usually just backdate any charge for unpaid taxes to the very date that the individual signed up to the scheme. Once HMRC fines and interest are added, the total tax bill becomes exorbitant. Regardless of what the Treasury comes back and says once a presumably flexible worker has fixed the roof, please DO NOT sign-up, register or join any such scheme or a variant of it. Their marketing is very, very convincing but quite simply -- don’t believe anything that they tell you. Just because they claim they are compliant with HMRC, or tell you such on an email, that does not mean that they are compliant with HMRC. Anything stating “HMRC Approved” is a red flag, as HMRC does NOT approve ANYTHING. Anything stating or requiring a ‘QC’ or ‘tax barrister’ opinion or approval is a red flag, because compliant operations simply don’t usually need such assurances. Scheme providers are very, very unlikely to support you if HMRC investigates. Schemes are right now deliberately and aggressively targeting susceptible workers, who have had their income reduced as a result of both tax changes in the public sector (IR35 off-payroll working rules) and today’s Loan Charge 2019. Let’s take an example of the latter. Only last week, the taxman warned that arrangements involving a PSC and LLP, purporting to get round the loan charge by transferring ownership of the shares in the PSC, just doesn’t work. Sometimes the types of schemes preying on contractors label themselves as “umbrella”, but they are not umbrellas in the conventional sense. They are actually bringing the valuable, legitimate umbrella company sector into disrepute. A true umbrella employs the worker directly themselves, on their payroll, while giving the worker flexibility to work for numerous end-hirers. So the worker effectively has an ‘umbrella’ of employment benefits and rights that they take with them wherever they work. More crucially, an umbrella will always pay 100% of the individual’s gross pay through RTI payroll. Give you all statutory rights and benefits of employment (holiday pay, sick pay, pension etc)? Give you the flexibility for engagement with numerous different end-hirers? Consolidate your pay from numerous hirers into one pay packet? Process the full amount of your gross pay through PAYE? If you answered ‘yes’ to ALL these five questions, you have a genuine, bonafide, legitimate umbrella company emailing you – it’s not a scheme at all. But if you didn’t answer ‘yes,’ move the email to your ‘junk’ folder, because that’s how you should treat it – it’s not a compliant firm; there scheme is potentially unlawful and they are storing you up significant financial pain in the future. Bankruptcy, divorce and suicide. All are now known to be consequences for those who, regardless of intent, used ‘schemes.’ For the good of your financial health and well-being, steer clear.